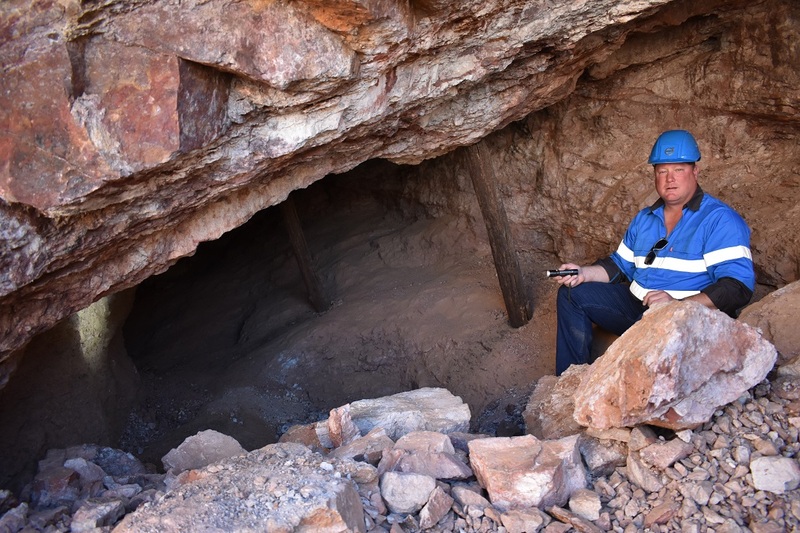 Sishen has stood its ground against relentless headwinds and remains a giant in iron ore mining, writes Leon Louw, who visited the mine recently. Like all mines do, one of the oldest operations in South Africa is destined to eventually run out of steam. But Kumba Iron Ore’s Sishen mine in the Northern Cape Province of South Africa is hanging in there, as it has done for the past 70 years. An aerial view of the gargantuan open pit reveals no secrets and belies the true depth of this mining and engineering feat. But the red-stained, iron-rich soil and a vast network of haul roads criss-crossing the immense hole in the ground, tells a story of toil that got under way in the late 1940s and today, continues unabated. The open pit, divided into two (a north pit and a south pit) for ease of operations, is 14km long and on average 2.5km wide (at its widest, it is about 5km). As the chopper hovers over the dusty Northern Cape Kalahari, the colossal excavators and massive haul trucks at the bottom of the mine look tiny, and so close to surface. But they are digging out iron ore at a depth of 275m, surrounded by neat stacks of benches and dizzying heights of high walls. They will do so for at least the next 13 years. From the air, one cannot help but feel that Sishen must surely be close to being mined out, but the rusty dust at the bottom of the pit is, in fact, manna from the sky for Kumba Iron Ore’s management team, as Sishen — and many other iron ore mines across the world — was literally saved when iron ore prices nearly doubled from their lows of late 2015. The fifth-largest global seaborne supplier of iron ore not only escaped care and maintenance status during the downturn, which started in 2015, but is expected to churn out product more efficiently, and less costly, for at least the short term, or until commodity prices dictate its fate once again. 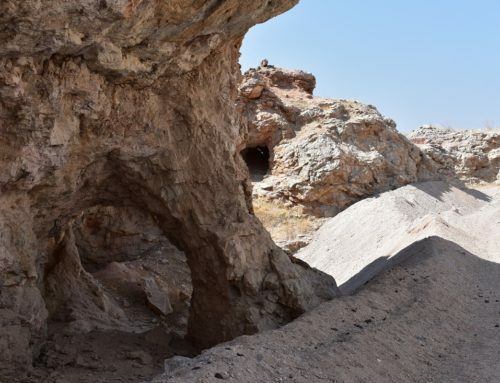 Technology, however, will play an increasingly important role in the survival, and ultimately in the revival, of Sishen, a South African mining giant. Sishen has focused on optimising drilling and blasting to improve the load and haul operations. Among others, the mine is blasting bigger blocks. 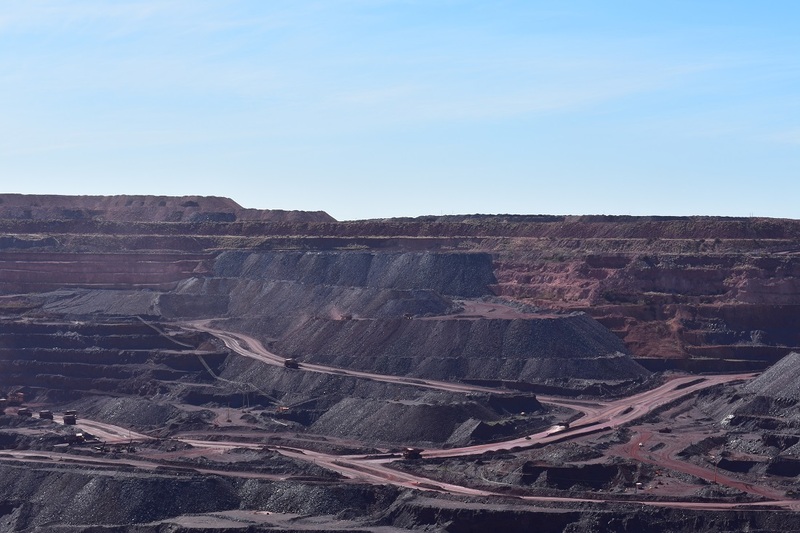 The massive open pit at Sishen is almost 14km in length and up to 5km wide in places. 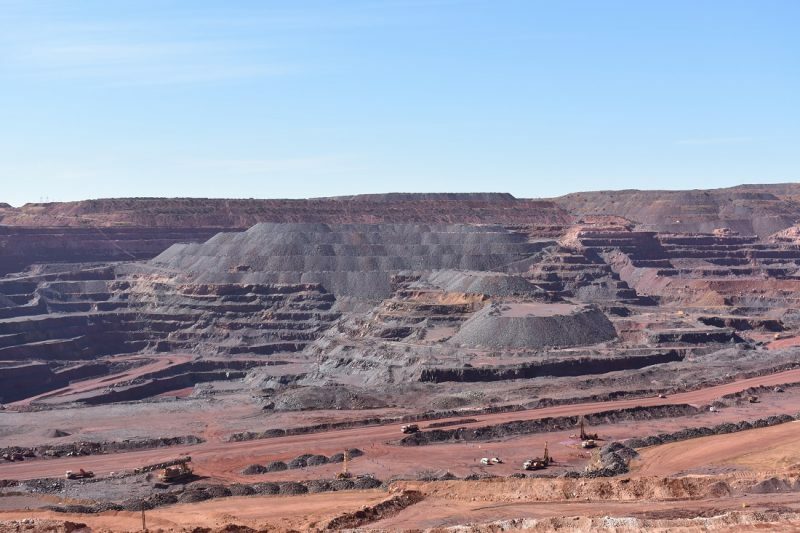 Although the Sishen mine’s first-quarter production in 2018 decreased by 6% to 7.3 million tonnes (Mt) compared to the last quarter in 2017, it is certainly recovering its losses. 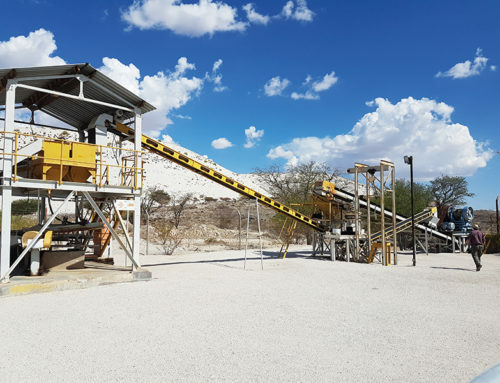 According to Mapi Mobwano, general manager at Sishen, these figures were primarily driven by lower production in the dense media separation (DMS) plant due to short-term mining feedstock constraints. These constraints, however, were offset by higher yields from both the DMS and JIG plants. 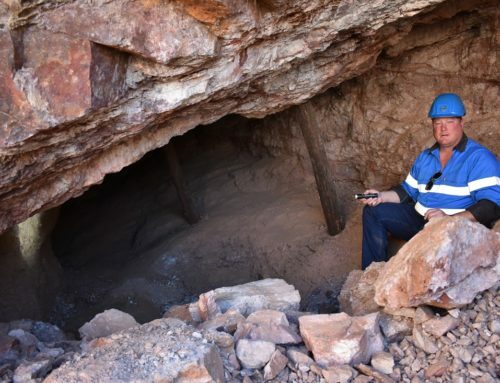 According to Glen McGavigan, executive head of technical and projects at Kumba Iron Ore, the company is actively engaged in exploration programmes at both Sishen and Kumba’s newest mine, Kolomela, about 90km south of Sishen, in efforts to extend the life of both mines. 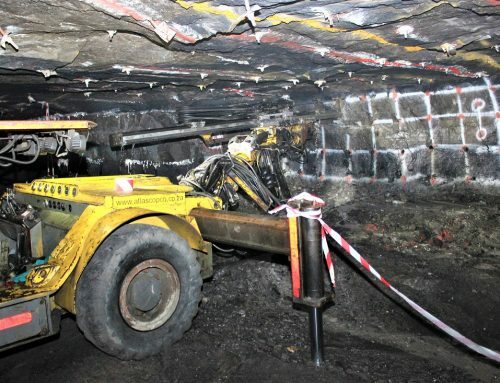 The company’s oldest mine, Thabazimbi, in the Limpopo Province, is in closure phase, awaiting a Section 11 approval from the DMR to have the mine transferred to Arcellor Mittal South Africa. 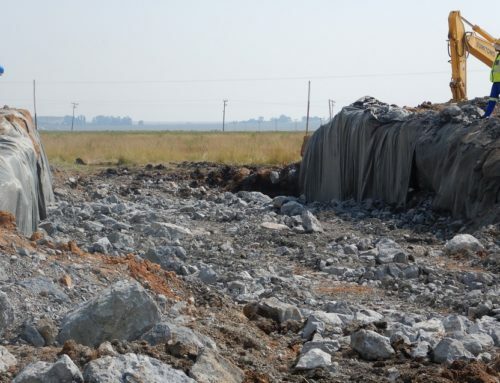 “We are looking at technology to improve our recovery rates, especially at Sishen, where we have the potential to convert material currently regarded as waste into valuable ore,” says McGavigan. Kumba has spent more than R749-million on modern technology between 2014 and 2017, hoping to increase production at Sishen and Kolomela. “For us, technology really needs to improve safety and productivity and reduce costs. If it doesn’t tick one or all three of those boxes, then we won’t implement it,” says McGavigan. Two of the 12 technology projects implemented by Kumba over the past three-and-a-half years that have had a significant impact on the operations in the pit, is the automated drilling project and a fleet management control system. Drill rigs are operated from a remote command centre away from the pit, using state-of-the-art technology. Traditionally, the drill operator will be seated inside the drill rig, exposed to dust and unpredictable weather conditions. “At present, six rigs have been converted at Kolomela, and this has improved efficiencies, quality, and the results substantially,” says McGavigan. The automated drilling project commenced at Sishen in 2015 with the trialling of two automated drill rigs, and the programme is set to be rolled out to include the rest of the Sishen drilling fleet on completion of the pilot. The new fleet management system known as Dispatch has resulted, according to McGavigan, in a reduction of haul truck cycle times, improved grade control with the use of a modular system and GPS technology on the shovels, and increased shovel productivity. “The fleet management system can really be compared with an aircraft control system, which ‘tells’ aircraft where to land, when to land, and to make sure they don’t crash into each other,” says McGavigan. This is exactly what Dispatch does. At any given time, there are 98 haul trucks, numerous secondary equipment, and more than 20 shovels in the Sishen pit. For Mobwano, it is important that the equipment operates as quickly, efficiently, and safely as possible, and to time the mining sequence to a tee, in order to increase productivity and reduce costs. The Dispatch system controls the mining operation and has brought many benefits. For one, the average speed of the haul trucks has increased from 21km per hour to 29km per hour. This is not, however, purely because of the Dispatch system. The haul roads, for example, are all in an impeccable condition. It is watered down regularly, and although Mining Mirror visited Sishen on a windless day, there was not a sign of dust. The mine’s roads are managed by dust suppression experts Dust-a-Side, and monitored by environmental company I-Cat. In 2016, Sishen implemented a safety project called LDV–HDV separation, which means that on 70% of the roads to and in the pit, light-duty vehicles drive next to the main haul roads used by the heavy-duty vehicles. Moreover, all vehicles and equipment are fitted with proximity detection systems. “To increase the speed of haul trucks by 7km per hour or 8km per hour doesn’t sound significant, but if it is applied to all 98 trucks for 365 days a year, it makes a big difference,” says McGavigan. In addition to the abovementioned technology projects, McGavigan says that smart devices to monitor and control the processing of ore in the plant, have resulted in more noteworthy benefits. 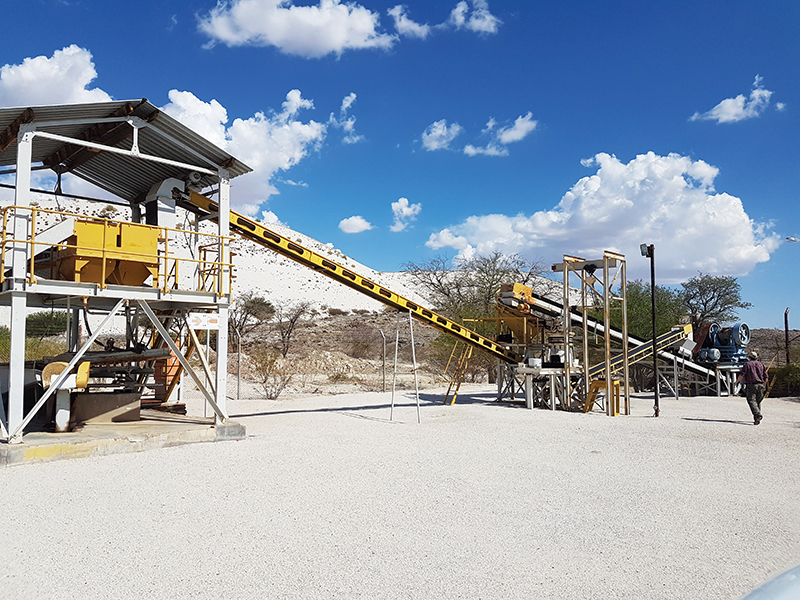 “At Kolomela, we have cameras on the conveyor belts and monitoring equipment on the crushers, which means we can adjust our crushers in real time. As a result, the mine can improve its lumpy to fines ratio,” explains McGavigan. This technology will soon be deployed at Sishen as well. 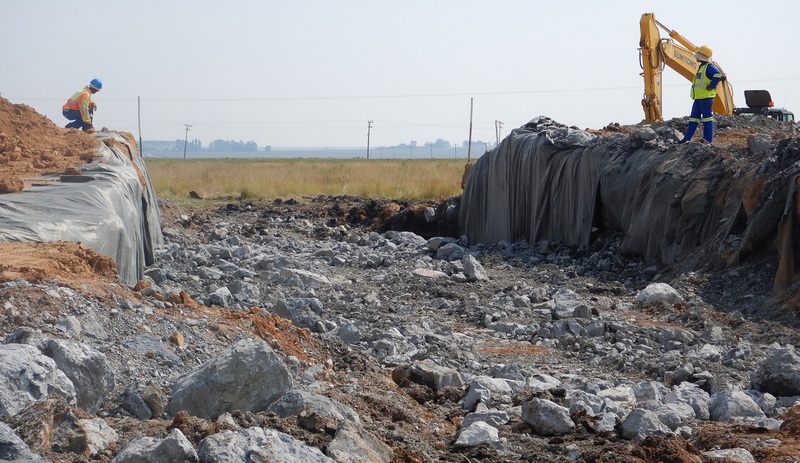 Lumpy ores are Sishen’s premium product. The mine produces four different products: premium lump, 20mm premium lump, standard lump, and standard fines. In 2015, Sishen constructed a modular ultra-high dense medium separation (UH DMS) plant to complement its existing DMS and JIG plants. The plant is being expanded now. It was added with the intention to capture JIG discards, which previously ended up on the plant discard dump as waste. The material is now being converted into a saleable product. The modular plant consists of conveyors, cyclones, a densification circuit, an ore circuit, and a water circuit. 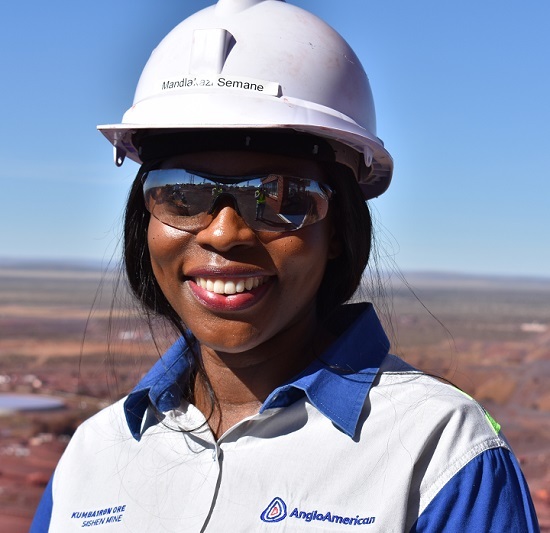 Mapi Mobwano, general manager at Sishen, in the pit during Mining Mirror’s site visit. The four assorted products are stacked into different stockpiles, from where it is taken to the load-out station to be loaded onto rail wagons. 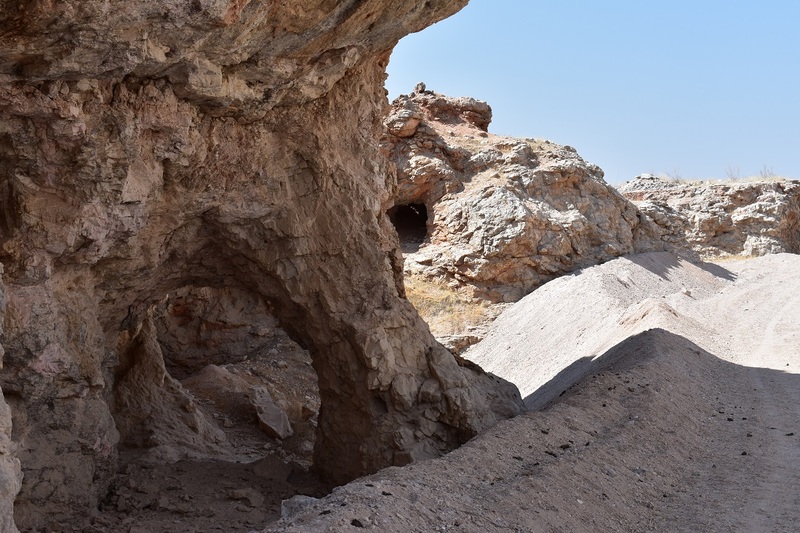 According to Mobwano, Sishen strips about 180Mt of waste per annum, of which it is able to mine more than 37Mt of ore. Eighty per cent, or 31Mt, of the 37Mt is converted into saleable product. The mine employs about 5 000 employees, of which more than 1 400 are permanent mining contractors, but these figures vary. In its most basic form, Sishen manages a drill and blast, transport and crushing operation. Almost 60% of its costs are incurred in the loading and hauling operation, and to keep this unit cost in check requires really efficient drilling and blasting, something Mobwano says management has been focusing on over the past few years. “Blasting is key to productivity improvement in the load and haul process; therefore, we have done a lot of work in this department,” says Mobwano. “We changed the blast design and burden spacing, and we are blasting bigger blocks. Furthermore, we would like to increase our bench height. Currently, the benches are about 12.5m high, but it is still not optimal; we would like to get to a height of 15m,” he adds. 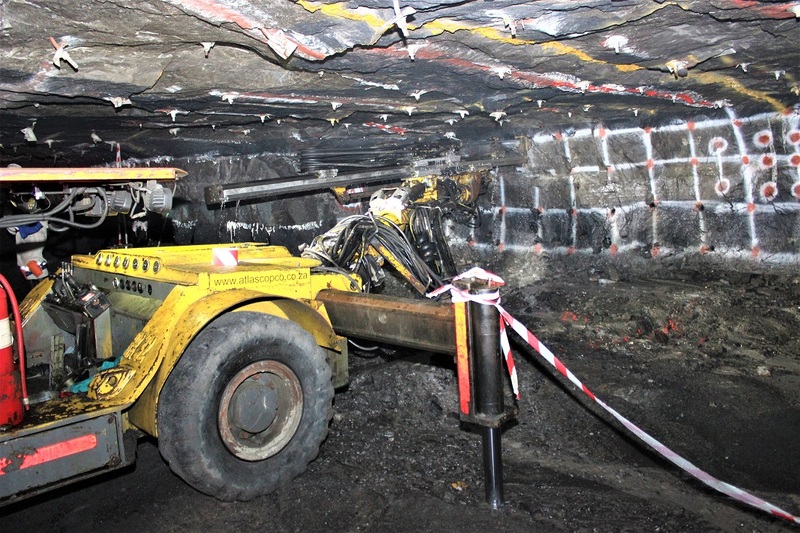 Technical experts have been assisting the mining team to achieve optimal fragmentation to improve the blasting load. New technology to determine the exact number of explosives required in each drilling hole has been employed, which has increased efficiencies significantly. 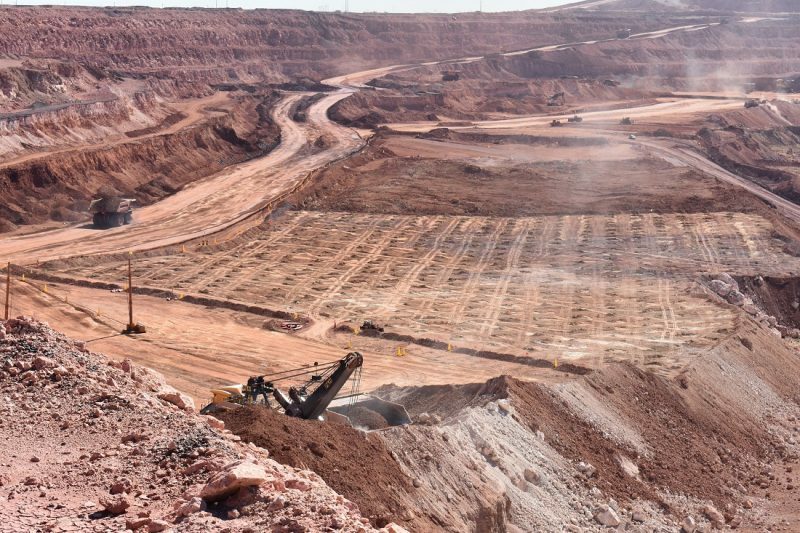 Sishen does most of the blasting in-house in the North pit, but contractors AEL and Orica operates in the South pit and the Sishen satellite pit. Blasting normally takes place once a week. Thirty-six of the 98 haul trucks used in the pit are ultra-class Komatsu rigid dump trucks (RDTs), with a payload of 327t — the equivalent of 72 elephants. It takes three scoops of 109t per scoop with a P&H 4100 XPC shovel to load the truck. Sishen owns three of these shovels. In addition, the fleet consists of sixty-two 254t Komatsu 860E RDTs, three Liebherr 76t R9800 shovels, three P&H 2800 XPC shovels of 59t each, and four 61t R996 Liebherr shovels. When the iron ore price dropped to below USD40 per tonne in late 2015, Sishen’s margins were under severe pressure. The pit had to be reconfigured and the fleet was drastically reduced from 136 trucks to 98. One shovel was sent to Kolomela and two other shovels, nearing the end of their working life, were parked in the workshop. Despite the smaller fleet, the mine today operates at higher volumes and has improved productivity with more than 30%, due in part to the technology interventions mentioned above. Most of the mining in the pit is done in-house, although contractor Aveng Moolmans does have a presence. Mobwano explains that the contractor’s role is not as pronounced as it was before, but that they still manage a sizeable fleet. 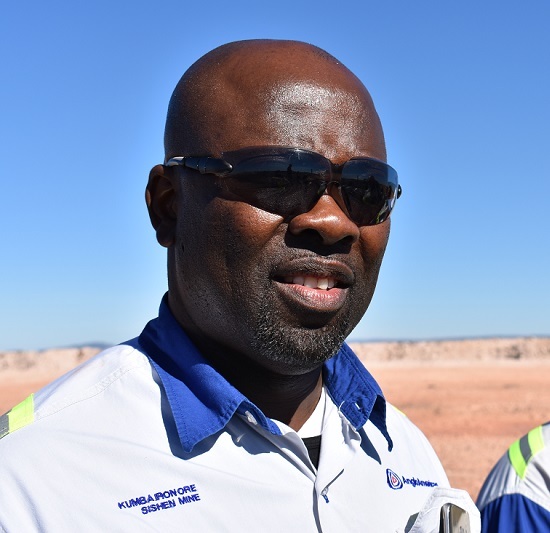 “Aveng Moolmans operates smaller equipment than Kumba and as a result, is able to mine the so-called cones where Sishen’s ultra-class trucks and equipment are not able to operate,” he says. In addition, mining contractor Tau Mining has a fleet active in Sishen’s satellite pit, between the mine and Assmang’s iron ore mine. After loading in the pit, the ore is hauled to one of three plants (the DMS, JIG, and modular plant). “The DMS plant, built in 1975, processes the higher-grade ore and still achieves high yields and good efficiencies,” says Mobwano. 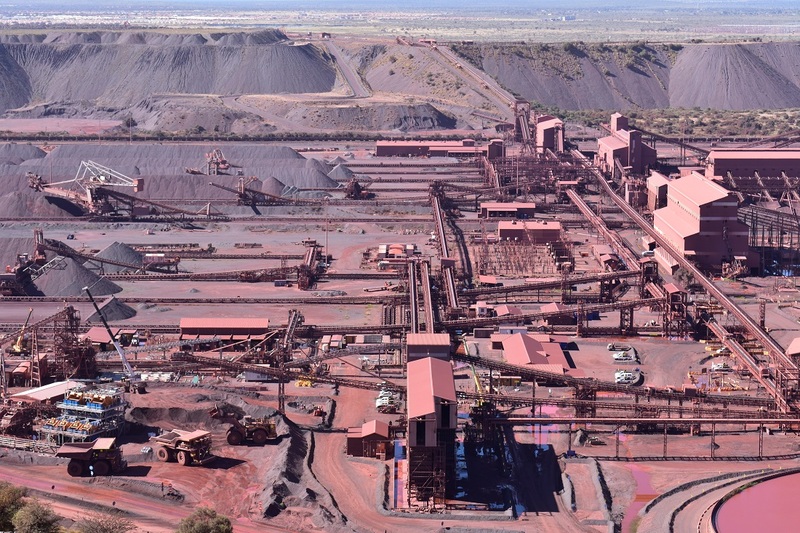 The JIG plant was constructed in 2007, with the aim of improving the quality of the product to 63% iron (Fe), while the new ultra-high-density plant will recover ore from the JIG discards. Sishen’s DMS plant has a capacity to process 22Mt of product in the range of 64–65% Fe. The DMS plant consists of three crushing stages: the primary crusher, the secondary crushers underneath, and the tertiary crusher stage. The feed into the DMS primary crusher is a minus 1.2m of rock, which is the run of mine (ROM). There are two secondary crushers. From the last secondary crusher, the ore reports via conveyor belt to the tertiary crushing circuit. The material emitted by the tertiary crusher circuit (minus 90mm) is stacked underneath the primary stockpile, from where it is discharged to the tailings dams. Meanwhile, there are 10 feeders that feed the ROM to the washing and screening plant, where the material is separated into five different sizes. The product exiting the separation plant is stacked into internal ROM stockpiles of five different fractions. There are two lumpy fractions that get processed through drum processing (a coarse drum and a medium drum), while another two fractions are processed via cyclones (a coarse cyclone plant and a fine cyclone plant). In addition, there is a minus two fraction, processed through an upcurrent classifier (the latest addition to the plant), which gives the plant its fifth fraction. Mandlakazi Semane, plant technical services manager at Kumba. The haul roads at Sishen are in an impeccable condition. The mine implemented a safety strategy whereby LDVs and HDVs do not drive on the same haul roads. The DMS uses ferrosilicone to prepare the medium in which the separation takes place at an operating density of 3.6t/m3. The product sinks, while the waste floats. The very fine waste material is further crushed down at a fourth crushing stage, where another saleable product can be screened out. The various products are eventually stacked onto product beds, where they are also blended, and loaded at three load-out stations. Two of these loading stations are for the lumpy product, and one of them is for the fines. The product is loaded onto 140 wagons, one rake at a time. The finer material (minus 200 microns) is thickened before it is pumped out to the slimes and tailings dams, where the water is recovered. Currently, the recovery rate is on average between 60% and 70% of the water, which is used for reprocessing. The minus 25mm fractions are discarded on the coarse discard dump. Sishen’s second plant is a JIG plant, which in general processes B-grade material, while A-grade material is put through the DMS plant. B-grade material was previously regarded as waste that couldn’t be processed in the DMS. The difference between these technologies is the cut point, which in a DMS is 3.6t/m3, while it is 4t/m3 in the JIG plant. The JIG plant has three crushing stages: the primary jig crusher, secondary jig crusher, and the tertiary crusher circuit. The minus 25mm product, previously discarded but for which there is now a market, is stacked onto ROM beds. The product needs to be homogeneous to prevent blockages in the JIG beneficiation circuit. The product is reclaimed from the ROM beds, and then the JIG ROM is processed through the JIG plant. Boasting 24 modules, the JIG plant at Sishen is the biggest in the world and produces both lumpy material and fines. It operates with water and air that is pumped through the JIG and creates a pulsation. After pulsation, the heavy particles (product) will settle at the bottom and the lighter material is discarded over the top of the JIG. The new UH DMS technology is able to process the JIG discards, which was previously unheard of. In the past, the JIG discards were transported to the tailings dumps. However, today, it reports to the new modular UH DMS, which has the ability to cut at a higher grade of 4.2t/m3 (bear in mind that the normal DMS cut point is 3.6t/m3). The modular plant, which now consists of three modules, is undergoing an expansion process and a lot of construction is taking place. It is processing about 3.2Mt of JIG discards at the moment, and the yield varies. Despite tough times, Sishen remains a prime producer of iron ore — and it will retain this position for the foreseeable future. Using cutting-edge technology and good leadership, Kumba is striving to extend the life of mine beyond the current 13 years and continue to play a significant role in the economy of the Northern Cape and South Africa.